Have you always wanted to LEARN to PLAY the ACCORDION? Are you mystified by what the LEFT HAND BUTTONS do? 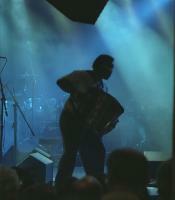 You already know how to play the accordion, but you want to IMPROVE YOUR SKILLS? 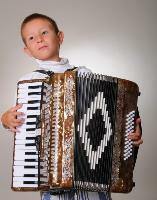 You want your child to take MUSIC LESSONS, and they think the ACCORDION is really AMAZING! You play in an Indie Rock Band, or a Folk Group, and they need someone to play ACCORDION, and you think, that would be FUN! SHIRLEY JOHNSON TEACHES students of ALL AGES, from elementary school children through adults, how to play the PIANO ACCORDION. You can take PRIVATE MUSIC LESSONS (if you live in the Austin, TX area) or if you live anywhere in the USA, you can take ONLINE ACCORDION LESSONS. *Beginner accordion students of all ages who have never played an instrument before. *Teenagers who play in their school bands, who want to learn another instrument. *Piano players who want to learn the accordion, and haven’t quite figured out how to play accordion chords. *Young adults who are discovering just how cool the accordion really is. *Mature adults who played as kids, put the instrument down as their life got busy, who now have time to pick it up again. *Read music; read accordion sheet music; play songs using a lead sheet (from Celtic jigs and reels to Fake book charts); play songs using piano/vocal scores of popular tunes and American standards. *Add more dynamics to your playing. 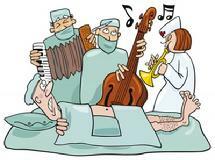 *Add interesting trills, bellow shakes, improvisation, and musicality to your songs. *Make your songs sound more French, or Italian, or Romanian, or …. If you live in the Austin, Texas area, and would like to take PRIVATE MUSIC LESSONS, you can contact Shirley by phone, email, or send her a message by using the box below. Lessons can be paid for by cash or check the day of the lesson or you can set up a music lesson plan and pay at the beginning of each the month. If you live in another city in the United States, and would like to take ONLINE ACCORDION LESSONS on SKYPE, please contact Shirley by phone, email, or send her a message by using the box below. Lessons can be securely paid for via PayPal. Online lessons must be paid in full prior to lessons. $35 for each 55 minute lesson. $20 for each 25 minute lesson. It is recommended that elementary through high school children take weekly lessons that are 25 minutes in length. Adults can take 55 minute lessons every other week. Single or occasional lessons designed to improve specific skills are welcome, if the student already plays the accordion. For example, if you want to learn how to add a little improvisation in a song, or you want to learn a specific musical styling. It is the responsibility of each student to have an accordion available for their use prior to the first lesson. 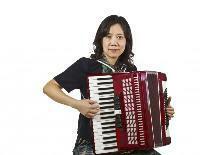 If you have questions regarding where to find an accordion, please feel free to contact Shirley. Ms. Johnson does not sell or rent accordions, and is not associated with any specific accordion dealer at this time. Each student works at his/her own pace. It’s time for YOU to LEARN TO PLAY ACCORDION! Want to find out more about Accordion Lessons? Feel free to send Shirley a message using the Message Form to the right. 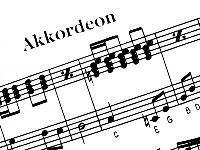 If paying for Online Accordion Lessons, please use the PAYPAL buttons below. PayPal is a fast and secure way to transfer money online. Please be assured that your financial information is held in strict confidence when using PayPal. None of your personal information is ever shared by Shirley Johnson, including your contact information, without your consent. Accordion Lessons are Not Refundable, so please only pay for lessons that you will be taking. Please phone or text Shirley (preferably 24 hours prior to lesson time) if you cannot make your lesson. If you do not phone or text her by the start time of the lesson, your lesson will not be rescheduled, and you will be charged for that lesson. Photographers from top to bottom: leloft1911 (man playing the accordion against brick wall); Igor Andriianov (girl with cap and glasses); Paul Moore (boy playing accordion); Eveline Degiampietro (sheet music); gromovataya (young couple); Valerii Rublov (accordion close up with microphone); Gianluca Curti (silhouetted Jazz player); Tom Baker (woman playing red accordion). Photographers from left to right at bottom of page: Bonzami Emmanuelle (buskers with 2 dogs); Igor Zakowski (surgery cartoon); Peter Horvath (man playing accordion outside).